How to Find the Best Canadian Web Hosting Company ? Every great website needs great web hosting. If you're located in Canada, it's best to have a Canadian web hosting company for its proximity and adherence to local laws. Before you set out to search for a company, you need to know what to look for. Several web hosting companies offer you the best service, but how do you know you're getting the best service if you've never hosted a website before? Here are some tips for website owners who want good support, fast servers, and a hosting plan that meets the needs of you and your customers. There are three types of basic web hosting service: shared, virtual private servers (VPS), and dedicated servers. Shared hosting is the cheapest while dedicated hosting is the most expensive. VPS is in the middle and delivers the best bang for your buck. However, you should know how they work to choose the right one for your budget and support. Shared hosting is mostly for the beginner webmaster. Shared hosting is the cheapest of the three options, but it has its pitfalls. First, you share a server with sometimes thousands of other users. Second, you have more limitations on bandwidth and storage. Shared hosting is best for new site owners such as bloggers or those who want to test the waters with a new site. The next option is VPS. Virtual private servers offer a “dedicated server-like” environment. Your site runs in a virtualized environment. You still have limitations on hardware, but the virtualized environment protects you from other users affecting your site. You also have custom control of your server where you can remotely log in and control your environment. This service is perfect when you have a budget but need custom settings and code on your server. Finally, dedicated servers are the power horse of the web hosting world. You lease the entire server, so you don't share any hardware or software with any other users. You have the ability to remote into your server just like VPS, customize settings, and usually you get better support options. Dedicated servers are much more expensive than other options, so these servers are usually reserved for small to large businesses with a bigger budget and the need for faster service. Email adds a professional look to your website. Using free email such as Gmail, Yahoo or Hotmail loses trust with users. You should always choose a Canadian web hosting that offers email. In addition to hosted email for your domain, the host should also offer a way to get that email from the web. Webmail lets you get your email from anywhere provided you have an Internet connection. Not only does webmail and hosted email help you maintain your business, but the host should also offer backups. When you keep your email in the cloud, the host takes care of all the email options, settings and backups. If your servers or desktop crash, your host still has your email safe and sound. How Much Would Your Business Lose During Downtime ? Most Canadian web hosting companies offer reliability, but do they follow what they promise? Most web hosting companies offer at least 99% uptime reliability. Some bigger cloud hosting companies offer 100% uptime. There is no way to test these promises until you jump into a contract, but you can read online reviews and do some Internet research to find out others' responses. If a web hosting company has poor reliability and service, it usually reflects in several reviews. Reliability is important when you need support and uptime to run a successful business. Some businesses lose thousands of dollars an hour when their site stops running. Your business and reputation depend on a hosting company's support and reliability, so do your research before you sign the contract. What Type of Support Does the Host Offer ? Support options are often overlooked until you need them. If you run an ecommerce store that takes orders 24 hours a day, 7 days a week, you need support when the website fails at any time of the day. You need a host that includes a service level agreement (SLA) that provides support at all hours. Some hosting companies have a shell support team late at night, but they must be able to call in support personnel for serious issues. Just like reliability reviews, you can find customer comments online regarding a host's support. Remember that most customers post scathing reviews when issues arise, but a good host will have a mix of good reviews in with the bad. When you look for support reviews and options, make sure the host has the support options that include recovery when your site is completely down. Do You Need Managed or Unmanaged Service ? Maintaining a website takes much of your time. It takes away from marketing, meetings, and dealing with other business concerns. Canadian web hosting companies offer managed and unmanaged service. You might pay more for managed service, but it can save you a lot of time when you have a business to run. Managed service is the total package with web hosting. Managed hosting offers you the ability to have a “hands off” approach to your web hosting package. The host updates your software including the operating system for security patches and maintains the backups needed for your database and your website code. All you need to do is take orders, customize your code as you need more options, and let the host do the rest. Managed web hosting is the best option if you don't have time to manage your web server environment. Unmanaged hosting is the best option for people with experience managing a web server and a site. You're completely responsible for upgrades and patches, although some hosts offer a way to automate backups in case you need them. The host might charge you a fee if you need to recover your data, but at least you don't lose data entirely if the server crashes. This option also works if you have a team of developers who manage your website and update any software such as WordPress patches and plugin updates. Can You Scale Your Web Hosting Service for Future Requirements ? Scalability is necessary if you decide to grow. Every business wants to grow, but you don't want your technology to be the bottleneck as you grow. Poor web hosting service can lead to performance issues and hold you back from gaining more traction in your industry. Your hosting company must be able to provide you with scalability options whether it's an upgrade to your hosting resources, more bandwidth, more memory and CPU, or more storage capacity. While you probably don't think of scalability when your business is small, it will greatly help you when your business demands more hosting resources. It also saves you money in slow performance issues in the future, since poor scalability keeps you at a specific level without the ability to take on new customers and resources. Will Your Host Secure Your Web Server ? You've probably heard of the multiple security hazards on the web. The Heartbleed issue with SSL required website owners and web hosts to respond quickly before servers were hacked. The best Canadian web hosting company will stay aware of the latest issues in the industry and respond quickly. The Heartbleed OpenSSL bug was just one security issue. 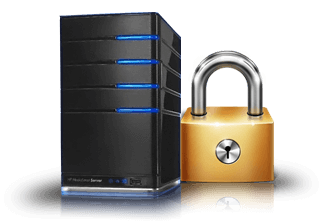 Your host must be able to secure the server with the latest patches and monitor the firewall for any abnormal traffic behavior. The firewall should send alerts to the web host administrator to help mitigate problems before they can cause more serious damage to your site and hosting server. The firewall can be set to automatically detect problems and automatically stop attacks. One common way hackers attack a site (sometimes even a competitor) is to send massive amounts of traffic to the server to the point where the server cannot handle the traffic due to low resources. This attack is called a denial of service (DoS) or a distributed denial of service (DDoS) attack. These attacks are common in the industry, and the right firewall detects an attack before it causes the server to crash. What Operating System Do You Want to Support ? Most companies have a favorite operating system. Sure, you can run Apache on Windows, but it's better to run Apache in Linux, especially if Linux is the operating system you know best. You should match your web hosting choice with the operating system that you want to support and use. For instance, WordPress uses PHP and is usually a part of a LAMP (Linux, Apache, MySQL, PHP) system. While you can run WordPress on Windows, it's best to match the operating system with the language you want to use. Another issue to think of is your software support. If you hire developers who know PHP, they likely know Apache and Linux. MVC C# programmers are typically Windows and IIS experts. You'll get better support if you match your supported operating system with the software you plan to customize and code. The best Canadian web hosting offers all of these options and gives you the features you need to run your business. Always do your research before you choose your company, because moving companies takes a lot of effort and work. The host you choose should be one that you can use for the lifetime of your business.